Ehrenfelser is a white-wine grape, one of the very few important wine grapes to have arisen from a deliberate modern varietal cross: it is a cross of Riesling with (it is usually said) Silvaner (aka Sylvaner), made in 1929 in Germany. It is still primarily a German grape, though it is now widely planted in British Columbia, owing to its ability to be productive in cold climates (being a quite early-ripening type). Noted wine expert Jancis Robinson, whom we chiefly follow in assigning relative value to grape types, clearly shows (in Jancis Robinson's Guide to Wine Grapes) Ehrenfelser as making wines running from somewhat below middling quality all the way up to world-class—making them, according to her, one of the dozen and a half or so of world-class red-wine grapes (those in boldface in dropodown menu lists above). Curiously, though, most other writers have little to say about the grape (or wine), save the endlessly parroted "Riesling substitute, low-acid, shorter growing season" mantra. But if Ehrenfelser is not the exact equal of Riesling in quality, what is? Many wine experts consider Riesling the greatest wine of all; thus, a grape that is similar to but below Riesling could still be an excellent grape. Is it? It's hard to tell from what is written. Robinson herself seems coy when she states that the crossing's only inherent disadvantages are that the wine is slightly too low in acidity for long-term ageing—and that it cannot be called Riesling. That tag-on reads to us like a cannily worded assertion that Ehrenfelser wines can closely approach Rieslings in quality; others may read it otherwise. 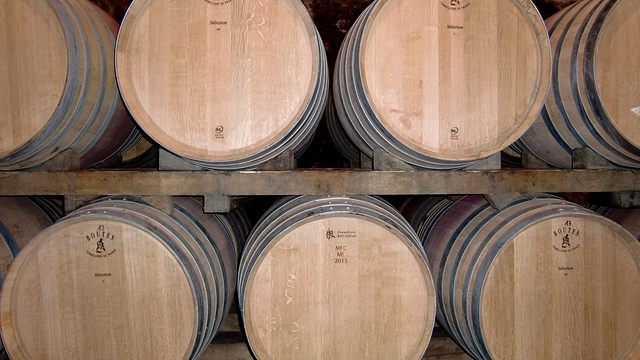 The bottom line is not the grape's potential but the actual wines being made from it. It is hard to say how much Ehrenfelser winemaking goes on in Germany and Austria, because little or no Ehrenfelser from those countries reaches the U.S. We do know, however, that its plantings are declining: in Germany in 1999, 630 acres were in, whereas by 2006, only 280 remained. There is a fair bit of Ehrenfelser table wine made in British Columbia, but, again, little or none reaches the U.S. (NAFTA seems irrelevant to Demon Rum, and shipoments of alcoholic beverages even within Canada, and the U.S., are ridiculously over-regulated; cross-border shipment is for all practical pusposes impossible). The B.C. 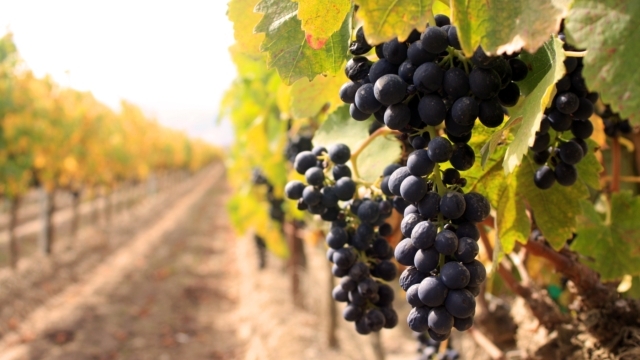 wines seem mainly made in a fruit-forward, off-dry style, which may not maximize the grape's potential but which works commercially for a generally obscure grape. But what many feel is Ehrenfelser's apotheosis is its use in "ice wines", very sweet dessert wines made from grapes that have been frozen on the vine before vinification, such that the water content freezes, profoundly concentrating the pulp and juice of the grapes (the water ice is left behind in the crushers when the grapes are vinified). Ice wine is typically very expensive, in good part because it is very expensive to produce (for example, the grapes must all be picked within a few hours on short notice). Factoid: The name "Ehrenfelser" derives from the Burg Ehrenfels ruins, located on the Rhine near Rüdesheim. "The grape tends to ripen earlier and produce higher yields than Riesling but its quality is not on par with that of this, its parent grape. The variety normally consistently produces grapes of at least Kabinett level ripeness and tends to produce well in vineyards where Riesling has difficulties." "Significant amounts of Ehrenfelser are found in the Okanagan region of British Columbia. This cross of Riesling and Sylvaner has become a highly-valued commodity in the western province. Developed in 1929 at Germany's Geisenheim Research Station, many consider Ehrenfelser, along with Kerner, as the best of the frost-resistant Riesling substitutes. It ripens slightly earlier than Riesling and grows in less ideal vineyard sites. Typically, it also produces more fruit than its noble parent, given the same conditions. Its only real disadvantage, aside from its hard to pronounce name, is its slight lack of acidity. Due to this lack of acid, wines made from Ehrenfelser do not share the same cellaring potential of Riesling." "The acreage of honor Felsers are rapidly declining. In 1999 about 255 acres were planted, but there were only about 100 acres in 2007. 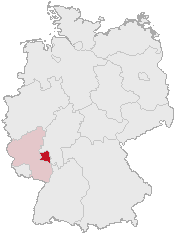 Of these, some 32 hectares lie in the Palatinate; there is also some in the Middle Rhine, Rheingau, on the Nahe and Rheinhessen. Even in Berlin there are 100 vines of this variety ("Rüdesheim Place") through an existing partnership with the Rheingau. Smaller plantings are also found abroad, in Australia, the U.K., and Canada. With Ehrenfelser was created a grape that comes close to the quality of the world's most noble grape - Riesling. In cultivation, Ehrenfelser is less demanding than Riesling, being but little sensitive to late spring frosts; also, powdery, downy mildew, and gray mold have small effect on it. Competition with Riesling is strong. Ehrenfelser's acid can in some years reach high values, similar to those of Riesling; but it lacks Riesling's quality and character. Thus, it is regarded as suited for otherwise-spare growing areas. Ehrenfelser wines have a racy acidity, are very fruity, and have a decent bouquet, reminiscent of violets. And its flavors—such as apricot, grapefruit, peach and apple--give this wine a special touch and can make great vintages." "Extremely frost resistant, the Ehrenfelser was created to provide Riesling quality in colder climates. Success was close, but the Ehrenfelser suffers from very low natural acidity, thus it is best consumed young and has not potential for long-term aging. Found in the German regions of Pfalz and Rheinhessen, though it is most prominent in Canada. Ehrenfelsers have aromas and flavors reminiscent of apples, pears and white flowers." "This white grape was developed in the late 1920s in Germany and is a cross of Riesling and Silvaner. Many consider the grape to be superior in ripening and flavor to Riesling. It is named for the Ehrenfels Castle on the Rhine River. In the [Pacific] Northwest, it's grown primarily in British Columbia, where it results in a tasty dry or off-dry table wine. It really shines as an ice wine, thanks to its fruit-driven flavors and solid acidity." 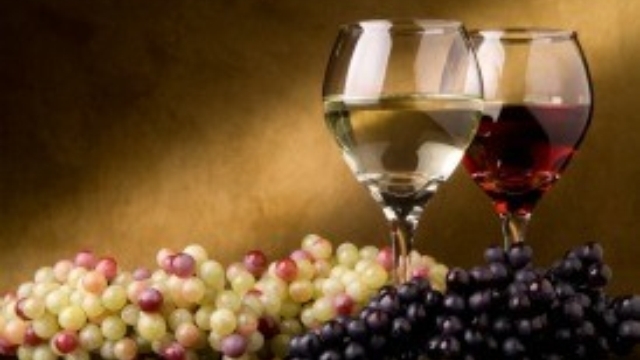 "A good-quality, white-wine, hybrid grape developed at geisenheim, Germany in the 1920s. Ehrenfelser is a cross of riesling and sylvaner that-except for its lower acid levels-closely resembles Riesling. It has some advantages over Riesling in that Ehrenfelser grows in less desirable locations and ripens earlier, which makes it increasingly popular in some of Germany's northern growing regions." "The resulting grape is not held in as high esteem as Riesling, but can produce very nice wines in the hands of an expert." "Riesling's sturdier brother. An excellent white wine hybrid grape developed in Germany in the 1920s that closely resembles Riesling—it's actually a cross of Riesling and Silvaner. Ehrenfelser has the advantage in colder climes, however, as it's less susceptible to frost. For that reason, the grape is often grown in northern Germany and has been planted recently in British Columbia. Ehrenfelser makes good ice wine because of its high sugar content." Critics tend to rate this varietal high, but that (presumably) is because of the importance of the icewines to those who fancy extravagantly sweet, rich dessert wines. Chacun a son goüt.